I have never read anything that better described what it is like when you first realize what your in for, once the news sets in that your life, your family is not what you thought it would be….you are now a part of an “elite” group of blessed people raising a child with special needs. Please read….it really depicts a reality that many do not have the pleasure of experiencing, of living. I am often asked to describe the experience of raising a child with a disability – to try to help people who have not shared that unique experience to understand it, to imagine how it would feel. It’s like this…. When you’re going to have a baby, it’s like planning a fabulous vacation trip – to Italy. You buy a bunch of guidebooks and make your wonderful plans. The Coliseum. The Michaelanglo David. The gondola in Venice. You may learn some handy phrases in Italian. It’s all very exciting. After months of eager anticipation, the day finally arrives. You pack your bags and off you go. Several hours later, the plane lands, the stewardess comes in and says, “Welcome to Holland”. It’s just a different place. It’s slower paced than Italy, less flashy than Italy. But after you’ve been there for awhile and you catch your breath, you look around and you begin to notice that Holland has windmills. 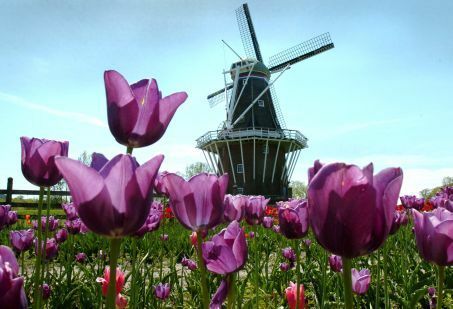 Holland has tulips. Holland even has Rembrandt’s. My son was declared totally disabled for a reason. I am paid SSI because it has been PROVEN he must be helped/supervised. SSI is not a bonus. It is not a pat on the back. It is my “reality” check that I get each month. All the rules changed once Nate turned 12. He is too old for daycare facilities. He does not require medical attention so an in home aide is over kill. “How come the school is not teaching him?” I just LOVE this question. I especially love it when it comes from a person who doesn’t even know what an IEP is. The school does a wonderful job with the tools, space, and staff they have available. What is my job is to make sure he makes his appointments, gets the supportive services necessary, has an appropriately written IEP that is followed up on constantly. My job is to be to my son what he needs, and that my friend is a job you could never imagine~~no matter your experience. And I have not even begun to list the needs of my other son. 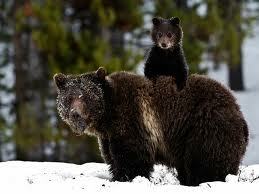 So has this mama bear been a bit riled….maybe. But I’ll get over it. And no matter what, I know that it’s okay, because I feel that you truly do care.